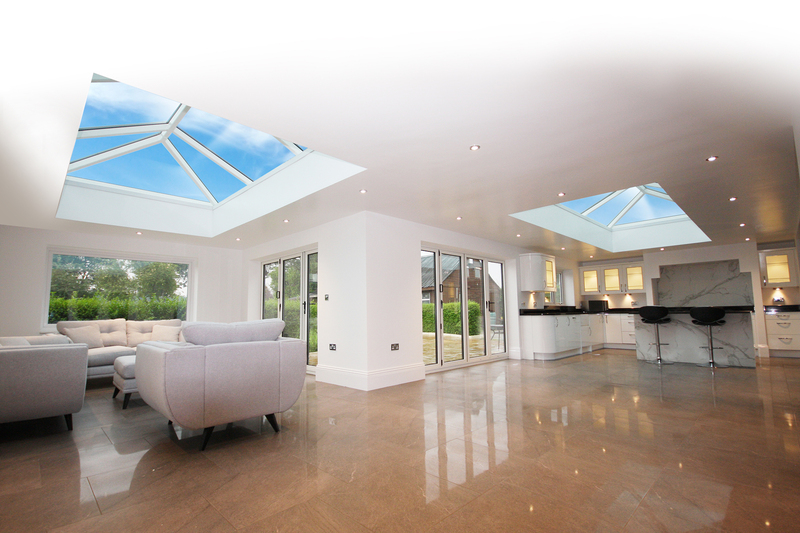 Beautiful aluminium roof lantern system with class-leading thermal performance. 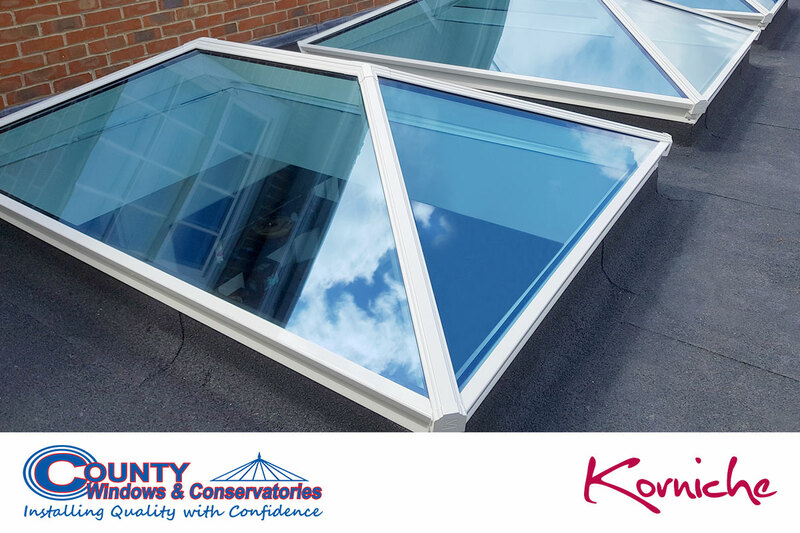 Korniche by County Windows is a revolutionary, aesthetically stunning, aluminium roof lantern with class leading thermal performance. 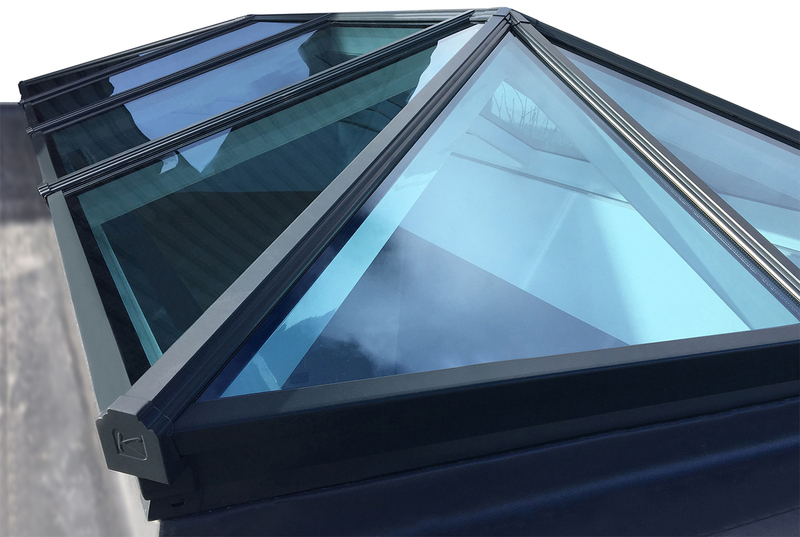 The Korniche development team have successfully blended contemporary, yet classic design with cutting edge engineering concepts to create an astonishingly beautiful roof lantern, that’s the strongest and most thermally efficient in its class. 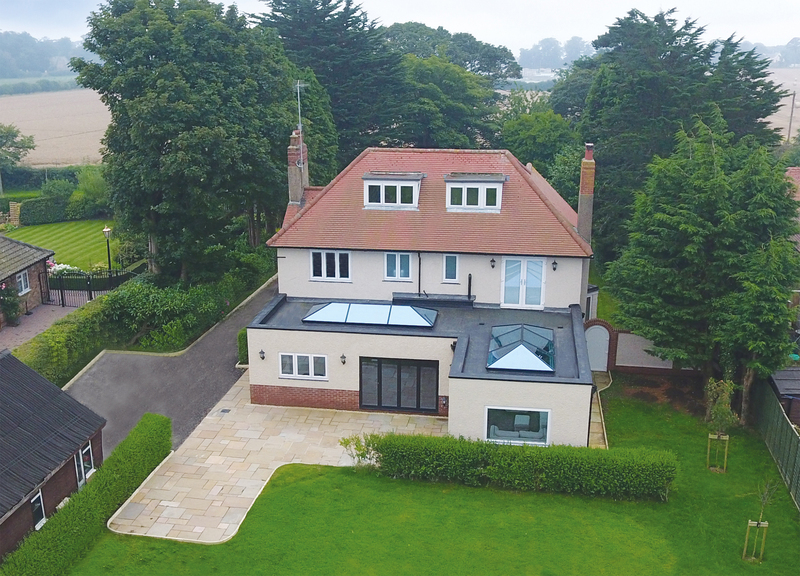 The slim elegant Korniche aluminium roof lantern fits perfectly in any home by retaining traditional features in a contemporary setting. Thermal efficiency guarenteed through thermally broken eaves beam and insulating T-bar combined with high performance glazing. Thermal efficiency of our roof has been guaranteed by the elimination of cold bridging, this is achieved by the total isolation of the external aluminium profiles from the internal ones. When combined with high performance glazing, the Korniche’s ability to reduce heat transfer is in a class of its own. If delivery with glazing is required, we can offer many industry leading, high performance self-cleaning glass options. Choose from either blue, neutral, clear or aqua and with U Values ranging from 1.0 – 1.2. Unparalleled in strength through an engineered structure alongside the innovative glass lock system and tamper proof fasteners. 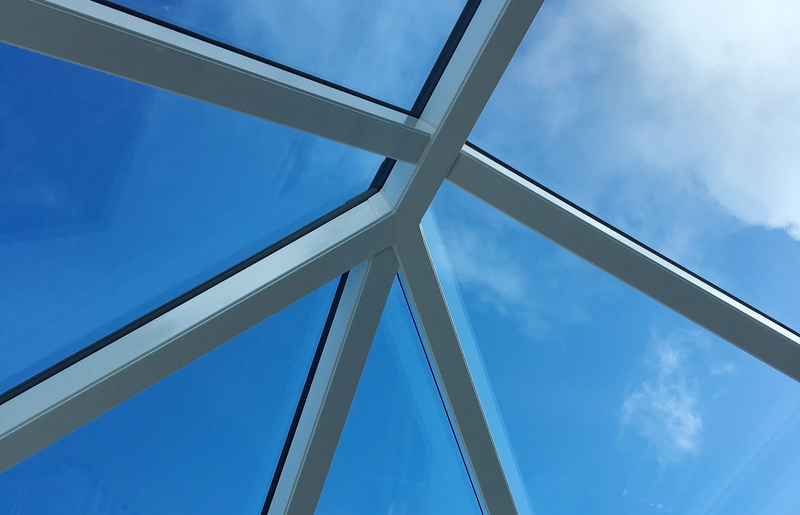 A signature feature of the Korniche aluminium roof lantern is the way that aesthetic features such as slim profiles, sculpted unions and concealed fixings all come together to provide a traditional look only thought possible with timber construction. The resulting sight lines flow gracefully and uninterrupted throughout the entire structure bringing an elegance and balance that we feel is absolutely unrivalled.